Rosemary Woodhouse's Wardrobe. Outfit 32: Blue quilted nylon dressing gown with tiny white dots, white lace trim around cuffs and collar and satin bow at neckline. 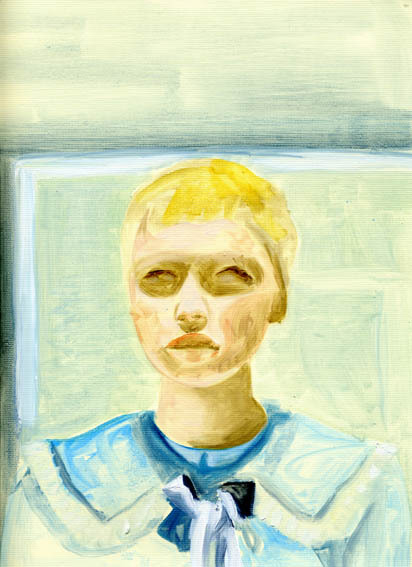 (In the apartment, feeling ill), 2009, oil on paper, 30.5x23cm.